This weekend, take the pain out of trawling around the shops and get all of your shopping done in one hit. 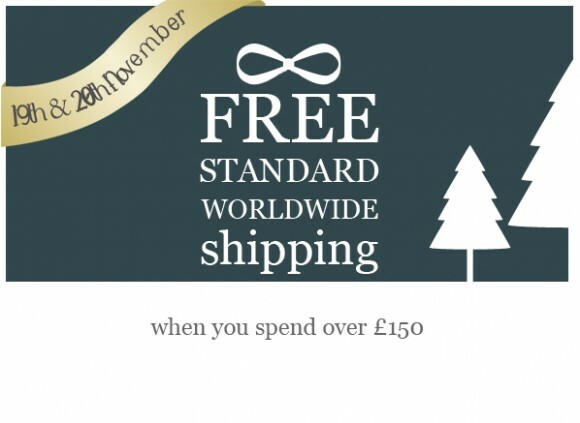 Spend over £150 and you’ll get all of your goodies delivered for free, wherever you are in the world. So whether you’re in Teeside or Thailand, sit back and relax. This one’s on us. The offer is available for 48hrs starting from 12AM Saturday until 11.59PM Sunday, so get your skates on! This entry was posted on Saturday, November 19th, 2011 at 8:00 am and is filed under Christmas, Gifts, Offers. You can follow any responses to this entry through the RSS 2.0 feed. You can skip to the end and leave a response. Pinging is currently not allowed.